How much Quran do you recite daily? 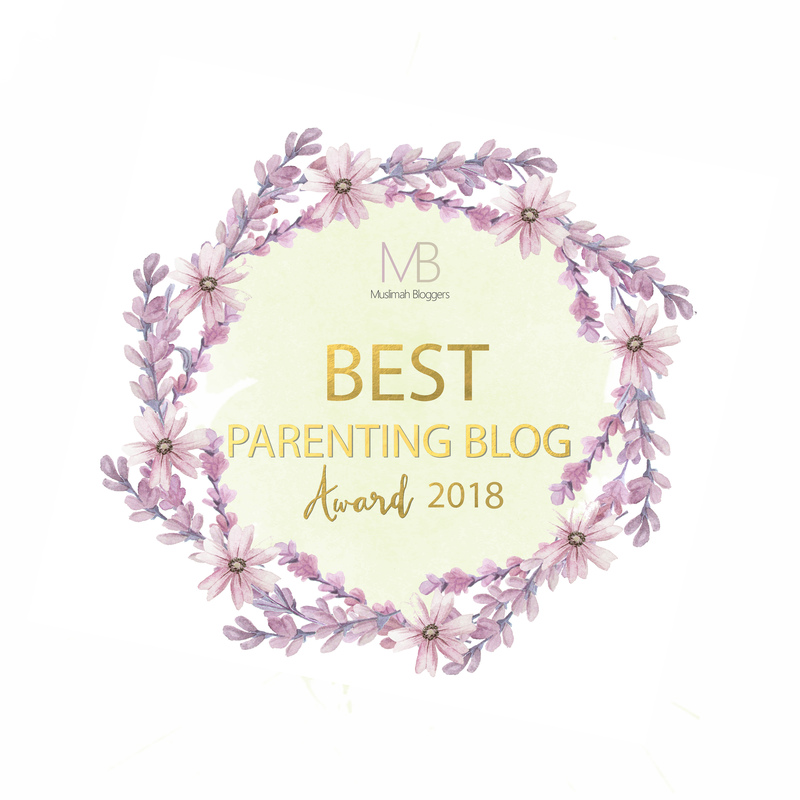 I’m a mum to a toddler, and if you know how busy toddlers are, you’ll also know what it’s like to have one eye looking at the beautiful words of Allah and the other watching the little person get up to all sorts of mischief. And it’s been like this from the day she came home! It’s been 4 months since starting our group and we’re thoroughly enjoying it and learning so much. It’s perfect for mums or anyone who might find themselves drifting away from the Quran due to lack of time or even pure laziness. I’ve always loved reciting the Quran for long hours at times, but since having my daughter I just haven’t been able to dedicate the same time. This made me sad and I kept thinking about how much I used to enjoy it, especially when I was studying Tajweed. I felt I needed more structure in order to learn and love our Creator’s words again. Many, if not all first time mums will agree: motherhood changes EVERYTHING! And it takes us a good part of the first year to come to terms with it all. Trying to fit in the fard ibadah becomes a challenge making any extra ibadah a burden. This led to me only reciting when I could, which meant sometimes I wasn’t reciting for a few days in a row. When you love something so dearly, your heart starts to feel heavy when you can’t spend time with it. And that’s exactly what happened. 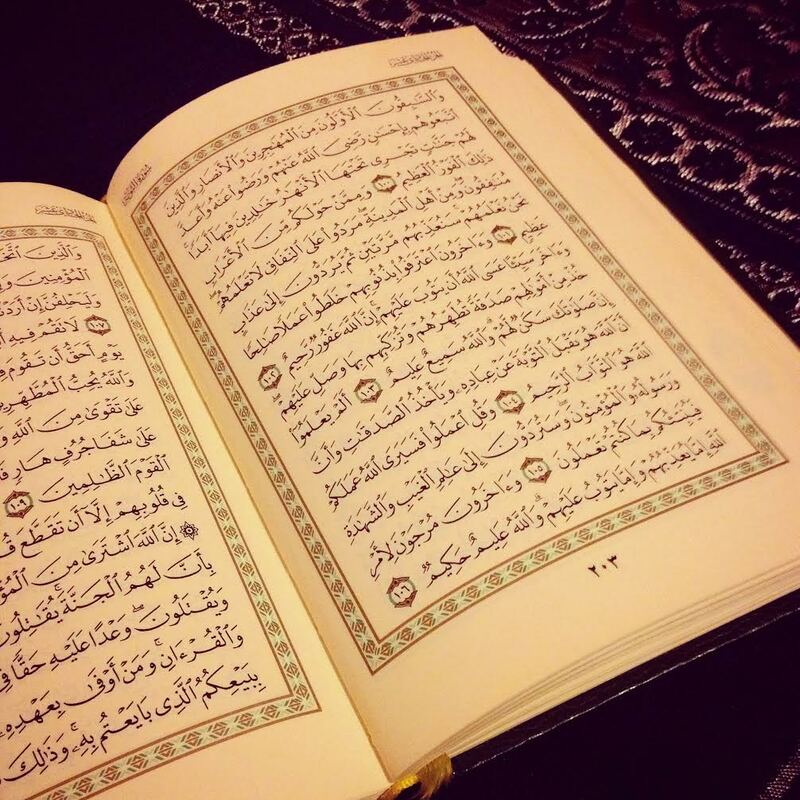 I missed the Quran and desperately needed to rebuild my relationship with it. So, how does it work?! I’m the admin in the group. I put out a reminder around Fajr time every day on our WhatsApp group. Each member puts 2 thumbs-up emoticons when they’ve recited the set ayahs and have read the translation too. Every so often, I try to share some motivational quotes relating to Quran recitation or just general spiritual reminders. I like this part too, as I feel I learn so much from it. During Ramadan, we increased the number of ayahs as we wanted to gain the extra reward the month offers. And I think as a group we enjoyed being part of this challenge the most in Ramadan. I’ve never actually read the translation of the Quran cover to cover, so reading it alongside the daily recitation has become a very easy way of studying the Quran. When we come across something we don’t understand or find interesting we discuss it. One example being, when we as an Ummah were all very saddened by the recent attacks on the people of Gaza, at the time we were reciting Surah Al Ma’edah and Allah’s words comforted us greatly. Another example was when we started Surah Al An’am, I looked in Tafseer Ibn Kathir and found a hadith that stated the whole surah was revealed at night time in Makkah, accompanied by seventy thousand angels, raising their voices in glorification of Allah. [At Tabarani] Sharing small details with others just makes the experience of reciting the Quran more interesting and memorable. “Bismillah hir Rahman nir Rahim: Having made countless promises to myself of getting back to reciting the glorious Qur’an, on a regular basis, I, sadly, found myself in a situation where I allowed the so called ‘daily pressures of life’ to besiege me and my efforts to get closer to Allah (swt). All I can say is Alhamdhulillah for the day I came across such a beautiful and brilliant idea. I recommend it to all, but especially to mums that have very small children. Living in the secular West, where religion is always pushed as being a secondary matter in our lives, and where we find ourselves busy with so many other duties, dedicating quality time to the Quran both knowingly and unknowingly becomes a difficult task. I’ve found that the more we keep ourselves away from the Quran, the longer it takes us to go back to it.This challenge is ideal for both the eager minded Quran lovers and for the one who needs that extra nudge to start reciting the Quran more often. Assalamualikum,Subhan Allaah,the idea of setting up such a group on whatsapp is simply brilliant. (Another sister set up a ‘Adhkaar Reminder ‘group fr the morning and evening du’as) .I’m a mother of four home schooled kids and even though i would be saddened that th Quran was never part of my daily life i never did anything about it..In sha Allaah I will try to set up a similar group.Baarak Allaahu feekum. JazakAllahKhair sis for the lovely comment, that was my only objective – for other mums to see how we can make quality time for the Quran in our busy lives. I would like to join this group too! I would love to join this group as well. Please can you take off my message as it has my email address. I did not post that message on here I posted it on a different website but the messages has removed it as I requested it. Please remove my message. I hope this message reaches you in a flourishing state of emaan and an excellent health. I’m starting whatsapp group Only for sisters who love to learn Quran. i’m starting Surah Yaseen which we can memorize on daily basis. any one who wants to join this group can email me your whatsapp number i have already 3 members in it and we already memorize 27 Surah’s . i want to join this islamic group or anyone if anyone who have any group like this add me. May Allah bless your time and help you achieve your goals in efficient manner. Are you still doing the challenge? I would like to join! Asalaamu alaykum. I’m just reading this for the first time and I think it’s such a great idea. Five minutes is really not a long time but the ajar is surely great! Subhanalaah. InshaaAllah I’ll try to see if a few sisters will do this challenge with me. Jazaakilahu kheyran for passing along the kheyr to your fellow mothers 🙂 inshaaAllah I’ll pass this great article along to my readers who are mainly mothers. Masha Allah that’s a very nice idea . May Allah reward you all . How do we join these groups on whatsapp? As salaam alaikum – we have just started a group on whatsapp yesterday alhamdulillah. We are based in the UK but have some sisters around the world also part of the group, If you would like to join please let me know in sha Allah. We do 10 ayahs a day Arabic & Translation but this may change depending on how the group gets on! we won’t increase but may go down to 5. Assalamu alaikum sister, I’m interested to join the Quran group. Let me know how I can join. I live in Maryland USA. Please could someone provide some advice as to what you do about sisters conversing on the group chat. How much you do restrict it? As some people really enjoy to see the thumbs up to feel motivated and this can become lost in long posts etc. I know some sisters mention discussing ayat, but how do you manage this especially in larger groups? nice idea. I am mother of 3 toddlers. Really i want to study quran. I would love to be more close to Allah . I don’t have much friends who are so religious. I really need a guide. Would u pls help me? Could u join me in the group , pls pls? Asslamualekum. I have a doubt. So do you post the verses and translations or justa reminder for the verses to be read? Please help me out with this. Walaikum assalam. I post which verses should be recited for the day not the actual verses. The people in the group have to themselves Recite from their own mus’hafs and read translations they prefer.